The phrase “brains over brawn” may actually be true. Science shows that in a scenario where an individual uses both at the same time, the brain receives much more energy than the muscles. Researchers found that if strenuous physical and cognitive efforts are exerted at the same time, the brain is at the top of the hierarchy in the distribution of nutrients. The brain is prioritized to receive blood glucose and oxygen, therefore inhibiting the amount of nutrients the skeletal muscles receive. 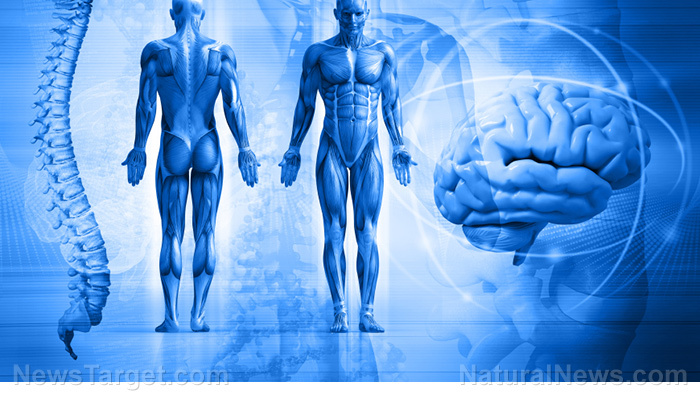 In a situation where there is a limited or short supply of both blood glucose and oxygen, these muscles will be a very strong competing force against the brain. When in full physical and cognitive strain, the brain receives more energy than the muscles. Researchers performed a series of tests on a rowing team to measure the output of the brain and the muscles’ performance when used together. The tests included rowing (on a rowing machine) and memory, which were measured individually, and then simultaneously. Results show that when rowing and remembering are done at the same time, both physical and mental performance decrease. Mental performance, however, does not decrease as much as physical performance does. The “selfish brain” theory may also be helpful in studying how humans react to immediate danger: Quick thinking may prove more useful and effective than immediate physical reactions like running away, since the human body’s physical capacity is very limited, especially to most individuals. This study might explain why physically incapable people have a higher intellectual capacity as compared to physically-dependent individuals that perform muscular over cognitive activities. It can also be a basis or supporting theory as to why some individuals with autism or Down’s syndrome have exceptional intellects. With humans evolving as time passes by, muscle mass might be fewer in human bodies in the future. Society dictates humans to develop their intellect more than develop their physical abilities in order to be able to survive. Over time, people have been discovering new ideas and technology that help humankind live easier. Where the muscles are limited, the brain is not. From there, it can be assumed that the brain, with more than a million daily functions, is more important than the muscles, which is only for the purpose of movement. However, with technology like self-driving cars and intelligent computers, human physical movement may no longer be necessary in the future. Humans may even evolve to have lower muscle masses and bigger brains – something like a scene from a science-fiction alien movie. With more jobs that require higher educational attainments and more complex cognitive abilities than blue-collar ones that rely on physical efforts, humans might already be on the way to a higher level of understanding on evolution and its environmental causes.